Another blast from the past at the zoo! Up top we have a buffalo like creature. I can't read my own writing so I don't know what I wrote up there. 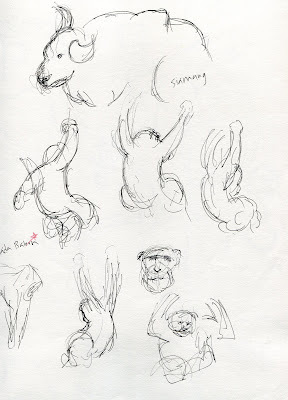 The bottom part of the page are some hanging and swinging baboons. 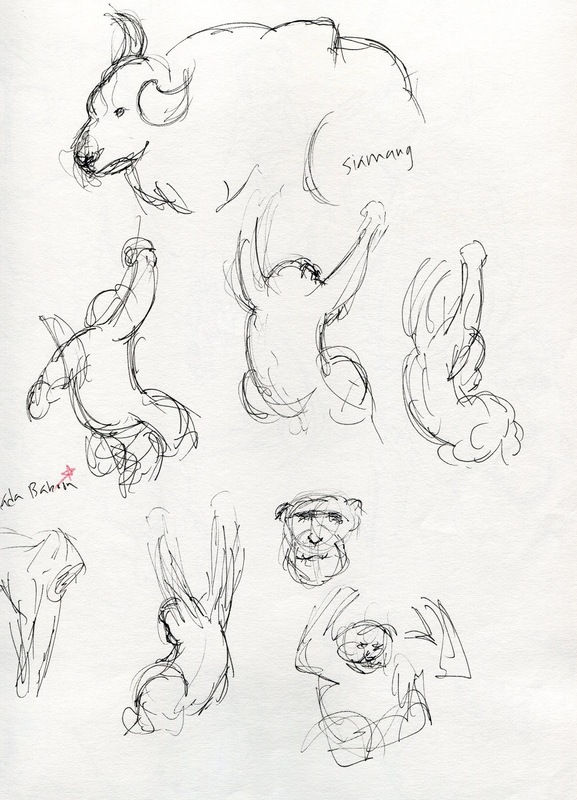 These sketches are really loose because man those baboons move quickly.